The Resource Links below were assembled by Manatee County Neighborhood and Community Services. WASHINGTON – In the aftermath of Hurricane Irma, life, personal safety, and access to safe shelter remains a priority of local officials, the Federal Emergency Management Agency (FEMA), and the entire federal family. While immediate lifesaving and life sustaining operations are the priority for FEMA and our partners, residents and business owners in designated areas who sustained damage due to Hurricane Irma, and are able to do so, should apply for assistance by registering online at http://www.DisasterAssistance.gov. Assistance can include grants for temporary housing and home repairs, low-cost loans to cover uninsured property losses and other programs to help individuals and business owners recover from the effects of the disaster. Insurance is the first line of defense against damage to your home or business after a disaster. Contact your insurance agent immediately to learn about your insurance policies and their coverage. If survivors also have National Flood Insurance Program (NFIP) flood insurance and suffered damage during the recent floods, they can contact their agent or call 1-800-621-3362 – select option 2 – to learn more about their policy. FEMA’s Transitional Sheltering Assistance (TSA). Focused on sheltering as an immediate priority, FEMA is making Transitional Sheltering Assistance (TSA) available to eligible survivors in the state of Florida, who are unable to return to their pre-disaster primary residence because their home is either uninhabitable or inaccessible. TSA provides disaster survivors with a short-term stay in a hotel or motel. Through direct payments to lodging providers, TSA is intended to reduce the number of disaster survivors in shelters by transitioning survivors into short-term accommodations. Eligible survivors can find the list of TSA-approved hotels onwww.DisasterAssistance.gov, and click on the Transitional Sheltering Assistance (TSA) Program – Participating Hotel List link. If internet access is unavailable, the FEMA Helpline (1-800-621-3362) can assist with locating a participating property. Survivors should contact the hotel directly to secure a hotel room prior to traveling to the hotel. Rental Assistance. Assistance through FEMA’s Individual and Households Program may be available to eligible applicants to secure temporary housing while repairs are being made to the pre-disaster primary residence, or while transitioning to permanent housing while applicant survivor is displaced from their primary residence. Temporary Blue Roofs. The recent hurricane has left many homeowners with damaged roofs, which can take time to repair. In order to mitigate additional damage that could result from rain, homeowners can have plastic sheeting installed over the damaged area by the U.S. Army Corps of Engineers (USACE). Currently the USACE, FEMA, and local officials in disaster designated areas are conducting assessments for this program. Additional information will be available in the coming days on how to access this type of assistance, but the first step is registering with FEMA for federal assistance. Disaster Unemployment Assistance is available for Florida residents whose jobs were affected by Hurricane Irma, specifically those who live or work in the counties included in the major disaster declaration. This may include people not normally eligible for unemployment benefits, such as self-employed persons and farm-workers. They can apply for unemployment benefits online at Florida’s Department of Economic Opportunity. Disaster Distress Helpline. The Department of Health and Human Services (HHS) Disaster Distress Helpline (1-800-985-5990) remains open 24/7 for free help coping with the stress of the storm. This toll-free, multilingual, and confidential crisis support service is available to all residents in the United States and its territories. Stress, anxiety, and other depression-like symptoms are common reactions after a disaster. Loans from the Small Business Administration (SBA) may be available to help repair flood-related damage to your home or business and replace personal property. The SBA provides low-interest disaster loans of up to $200,000 to repair a primary residence, up to $40,000 for homeowners and renters to replace personal property, and up to $2 million to businesses and most private non-profits for physical damage and economic injury needs as a result of the disaster. Survivors need to register with FEMA first to determine their eligibility for any federal assistance that may be available. Immediate Foreclosure Relief from the U.S. Department of Housing and Urban Development (HUD) may be available for Florida and Puerto Rico residents in disaster-designated areas. HUD is granting a 90-day moratorium on foreclosures and forbearance on foreclosures of Federal Housing Administration (FHA)-insured home mortgages. HUD is also offering longer-term recovery assistance to survivors and impacted communities. For more information, visit HUD’s website. There may be additional forms of immediate assistance available to survivors in declared areas to address critical needs such as water, food, first aid, prescriptions, infant formula, diapers, consumable medical supplies, durable medical equipment, personal hygiene items, and fuel for transportation. When survivors register for assistance they will receive referrals for the programs that may be available to them. Survivors should register online at http://www.DisasterAssistance.gov. If they do not have access to the internet, they may register by calling 1-800-621-FEMA (3362) or 1-800-462-7585 (TTY). If they use 711 relay or Video Relay Service (VRS), call 800-621-3362directly. The toll-free telephone numbers will operate from 7:00 a.m. to 10:00 p.m. (local time) seven days a week until further notice. 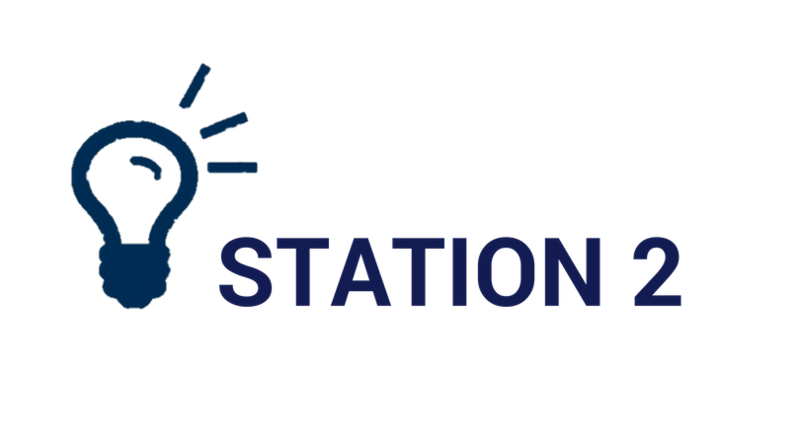 Tune into Station 2 Innovation where we strive to connect Bradenton and the surrounding area. Calling All Tampa Bay Startups Today – We Need Your Help!